Justin Vernon and Aaron Dessner. 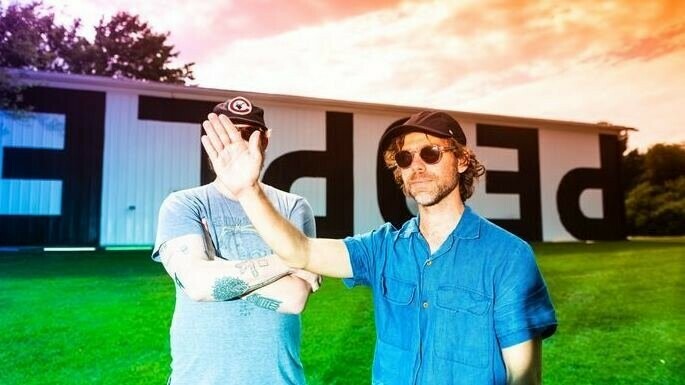 Following a memorable show at this summer’s Eaux Claires and the August release of their critically-acclaimed self-titled record, Big Red Machine – the collaborative project from Justin Vernon and Aaron Dessner of The National – will bring their talents to national TV this week. On Thursday, Nov. 8 the duo will play their first ever televised performance on Late Night with Stephen Colbert alongside guests Billy Crystal and Senator Kirsten Gillibrand. It follows a busy fall for Vernon, who performed a Bon Iver set at a Tammy Baldwin rally in Madison in October, and another big one last weekend at the Paris iteration of the Pitchfork Music Festival. So tune in to CBS at 10:30pm/CST to catch the performance. Smart money says it’s at the end of the program. You can stream the Big Red Machine record at www.37d03d.com, or buy a physical copy at The Local Store.